Golden, crispy, warm and hearty . 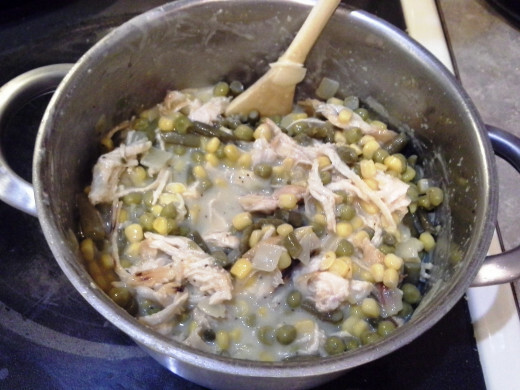 . . No, not pizza, but chicken pot pie! This is one amazing meal that you don't have to crave to enjoy. 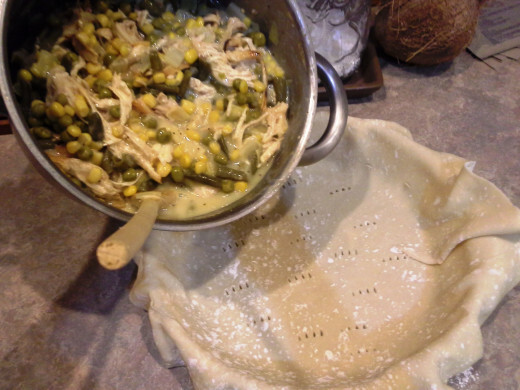 I'm not sure what it is about chicken pot pie, but it brings back warm memories of childhood, safety, and comfort. 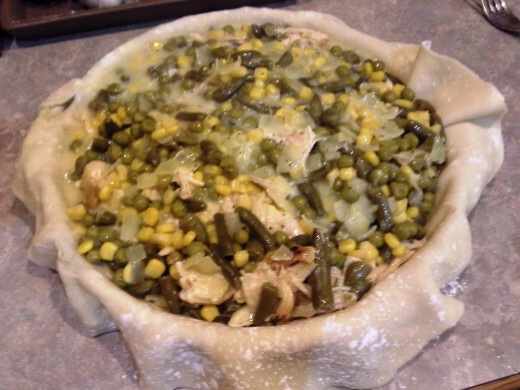 The warm crispy pie crust, the hot gooey sauce inside with chicken peas, green beans and corn pouring out onto your plate, and smell of southern comfort are all enough to make any mouth water. 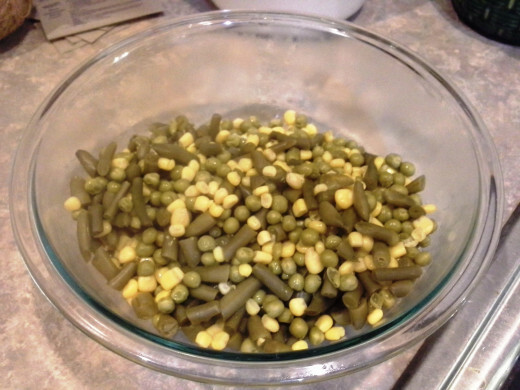 This is super easy to make, but by no means can simply be popped into the microwave. It does take a little bit of work to create. 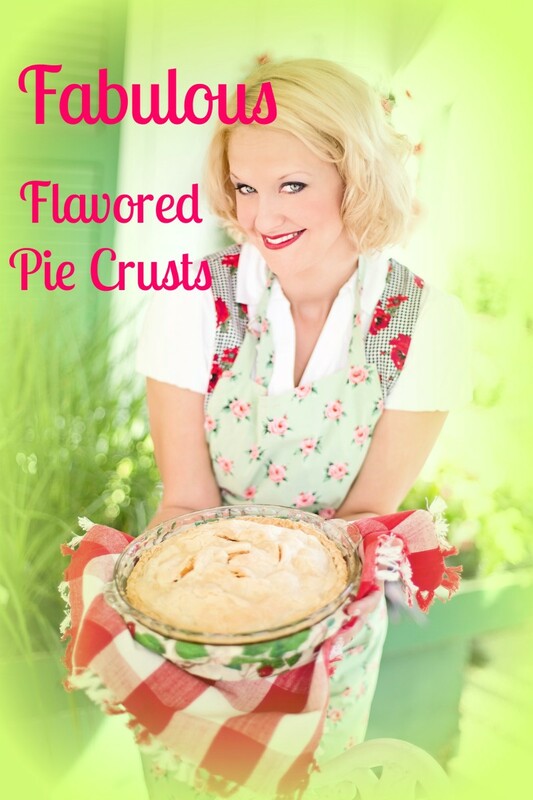 You can either use refrigerated pie crusts for your pot pie, or use my recipe for Homemade Flaky Pie Crusts. 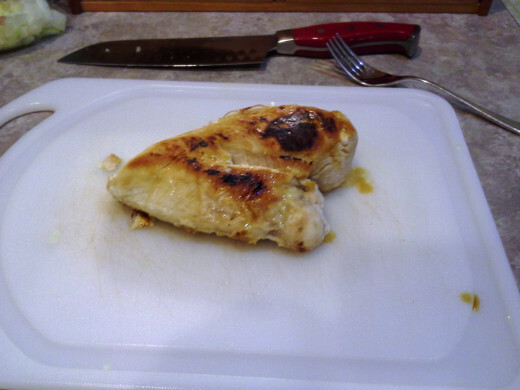 If you want the process to go faster, I suggest cooking several chicken breasts at a time when you have a free afternoon, and store them in the refrigerator or freezer until needed. 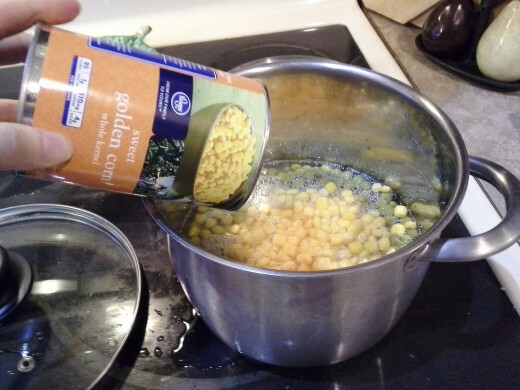 You can also use canned veggies rather than fresh ones so that the veggies only need to be cooked briefly. 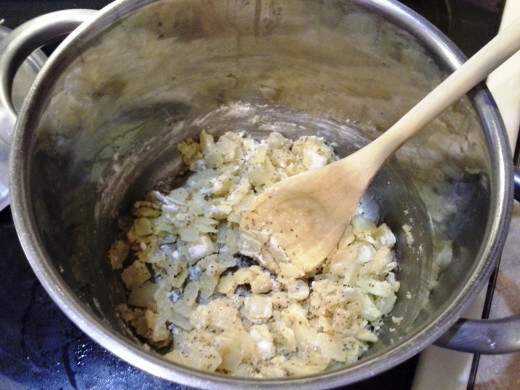 Then to make this delicious concoction, you only need to worry about creating your sauce or rue for the pie and then put it all together. 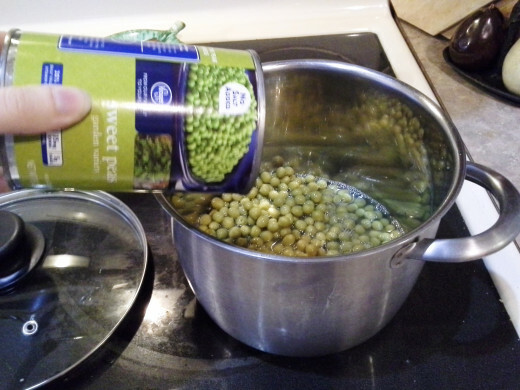 Either way you decide to prepare for this meal, let's look at how to make it! 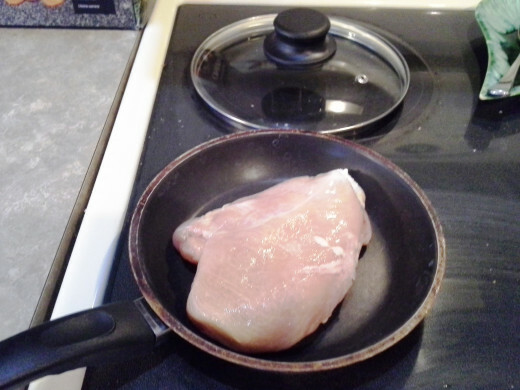 Thaw your chicken. You can see I'm thawing mine in the microwave because I'm impatient and usually don't decide on what I'm going to cook until the last minute. However, it would probably be better to put your frozen chicken breasts in the refrigerator the night before and thaw them in the refrigerator overnight. If you're not this forward thinking, you can also put them in the sink in room temperature water a few hours before dinner to thaw slowly. 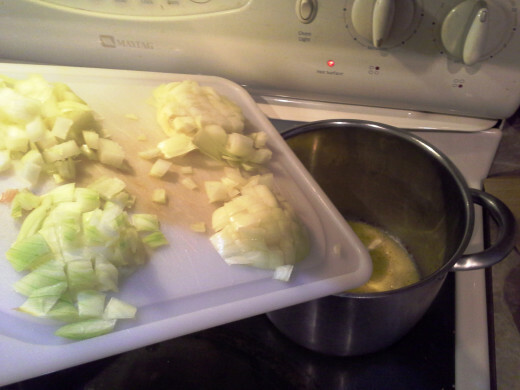 While your chicken is thawing, you'll want to pour your veggies into a medium sized soup pot (juice and all) to cook together for about 10 minutes on medium high heat. 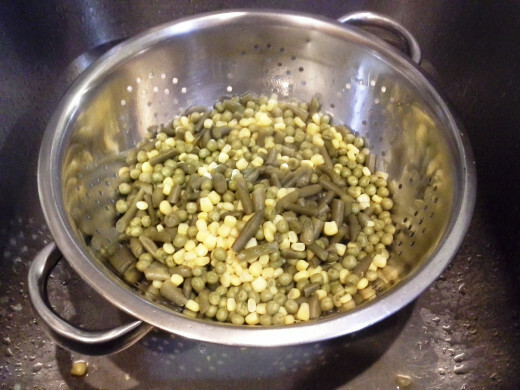 When your veggies have cooked, strain them in a strainer in the sink, and then pour them into a bowl on the side. 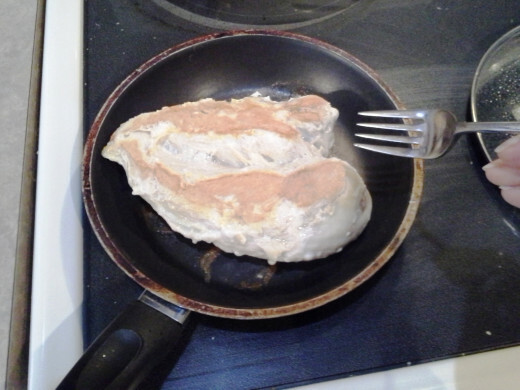 When your chicken has thawed, place it into a small sauce pan and cook on medium heat for about 5 minutes or so, until the bottom has browned. I usually time it by smell. I know that sounds strange. 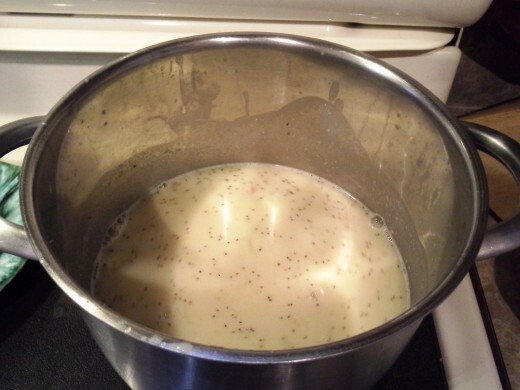 But as I'm working on other things in the kitchen, suddenly my head comes up to this amazing smell. Then I know it's done and ready to turn over. Cook on the other side for another 5 minutes or so, until browned. 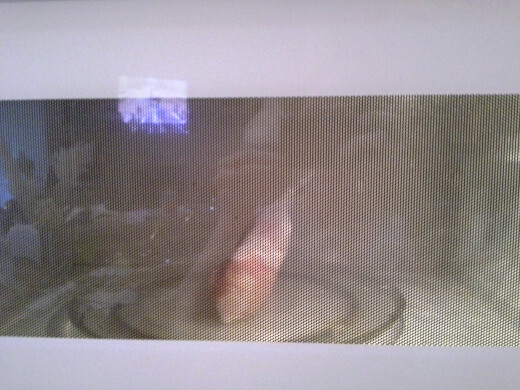 Then turn the heat to low, cover it up and let it cook for another 10 to 15 minutes, until the insides are completely done. You'll have to cut it open to find out, but you're going to shred them anyway. 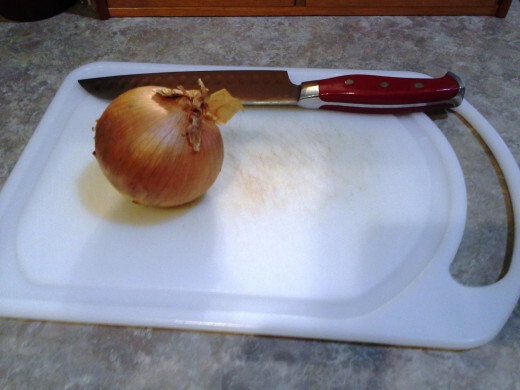 While your chicken is cooking, pull out your onion, a cutting board, and a large sharp knife. 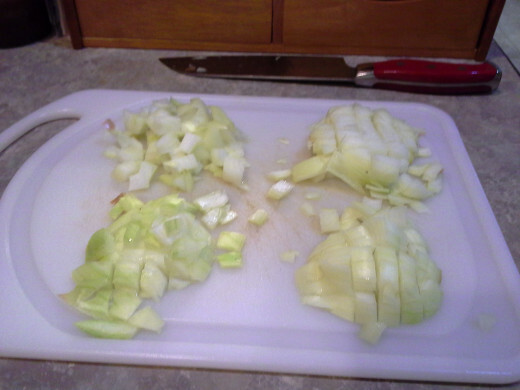 Cut off both ends of your onion, peel the top layer of skin off, and chop it small. I went ahead and chopped the whole thing even though I'm only using half. I can always use the rest in tomorrow's dish. 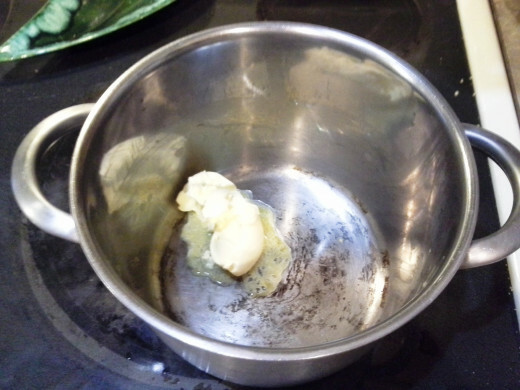 In the pot you used for your veggies, put your butter over medium heat and let it melt. 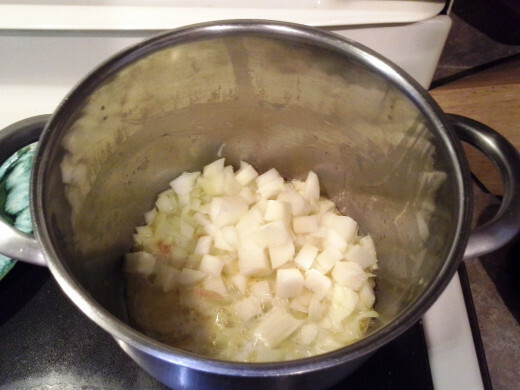 Slide one-half an onion worth of chopped onion into your pot with your melted butter and let it cook until your onion is thoroughly cooked and transparent. 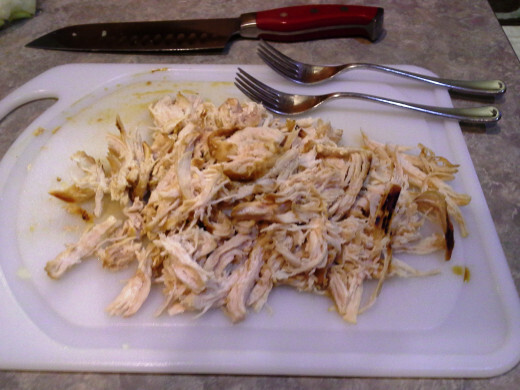 Using two forks, hold the chicken breast with one and shred the chicken with the other. 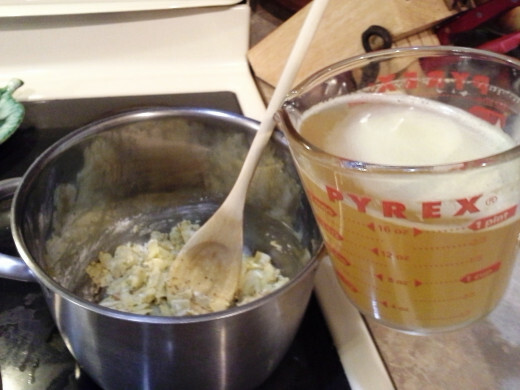 In a large measuring cup, make your 2 cups of chicken broth. 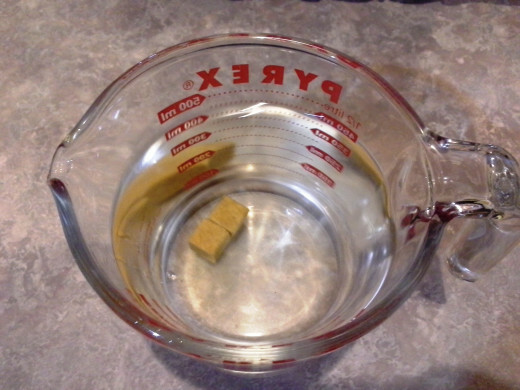 I use 2 dehydrated chicken broth cubes and 2 cups of water, and heat it in the microwave for 2 minutes. 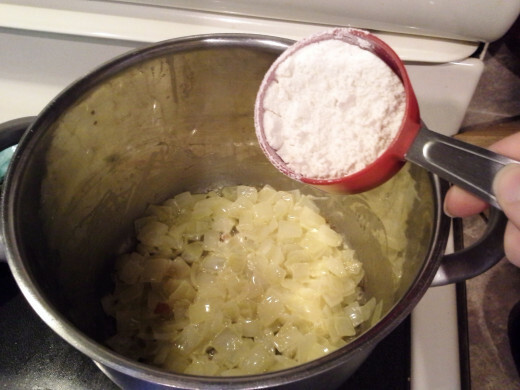 Once your onion has cooked, add your flour and seasonings and mix. 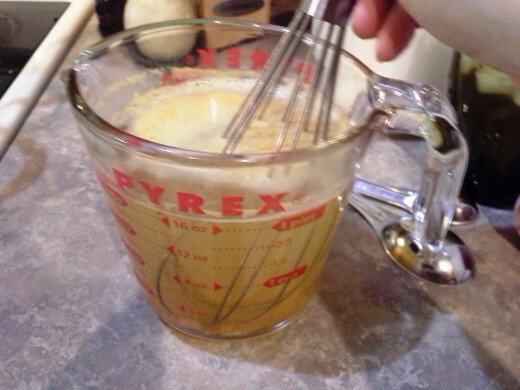 Remove your chicken broth and mix with a whisk to combine. 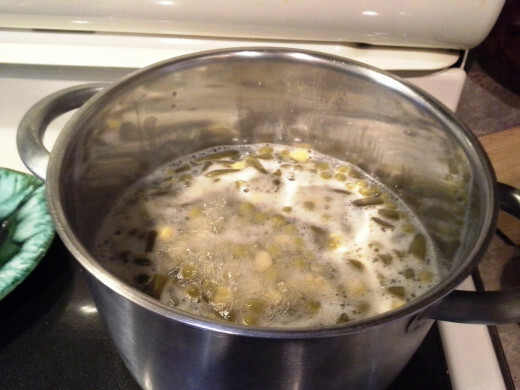 Add your broth to your butter and flour mixture in your soup pot. 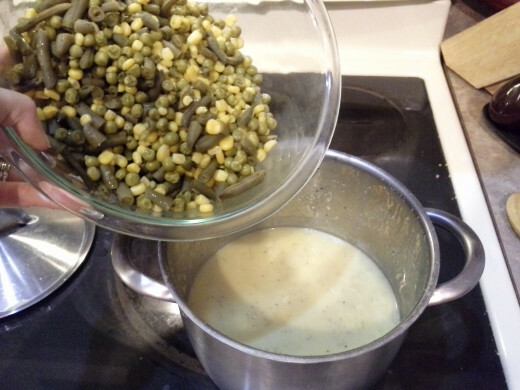 Mix well and let cook together for a few minutes. 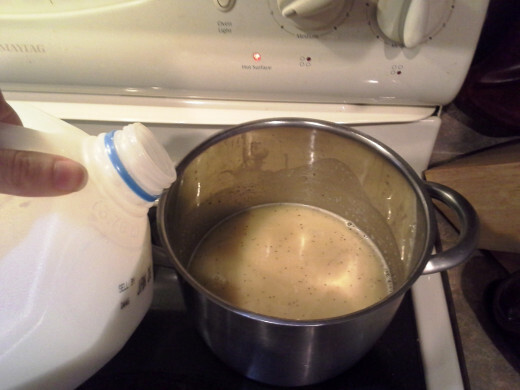 Now add your milk, mix, and cook on medium until thick. 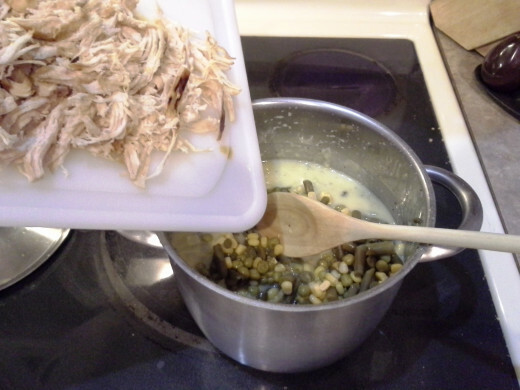 When your sauce has thickened, add in your veggies and shredded chicken and mix. Cover and cook together on low until you are ready for it. 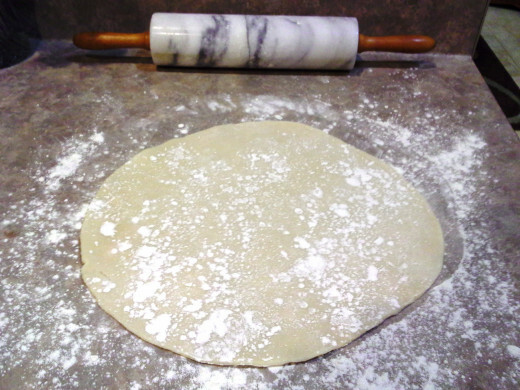 On the side, make your pie crust dough, or thaw your refrigerated dough. 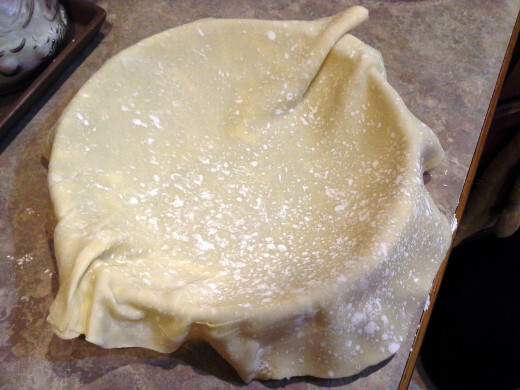 Roll out enough for one pie crust and lay it out in a prepared, sprayed deep dish pie pan. Leave your pie crust edges for the end. 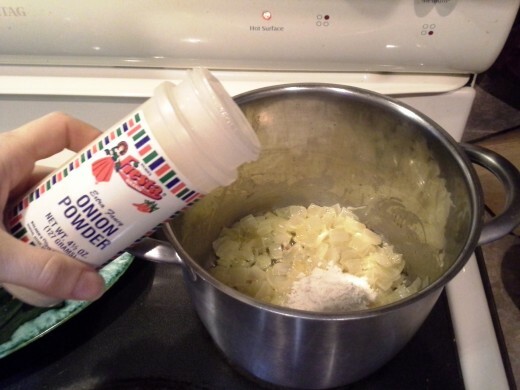 Now pour your chicken pot pie filling into your pie crust. 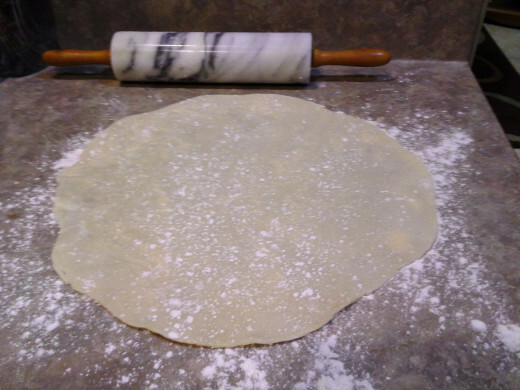 Roll out enough dough for a second pie crust, but not quite so big as the first one. 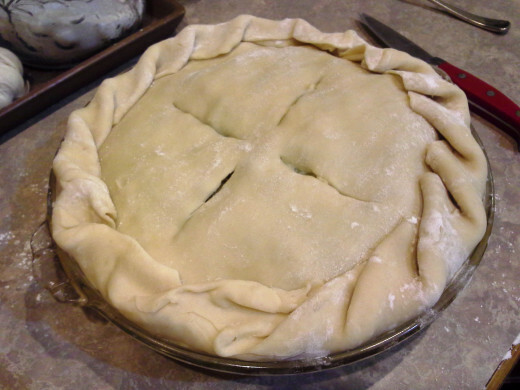 Lay the second pie crust out over the top of your pie. 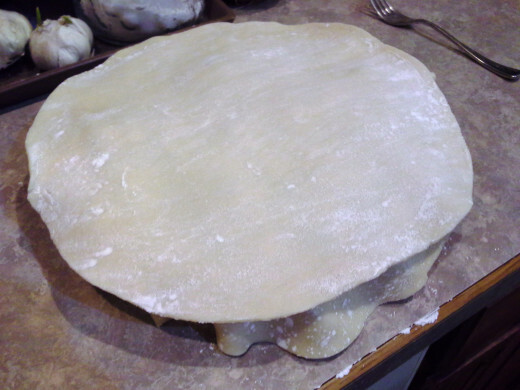 Starting on one side, fold both layers of pie crust over the top of the pie. 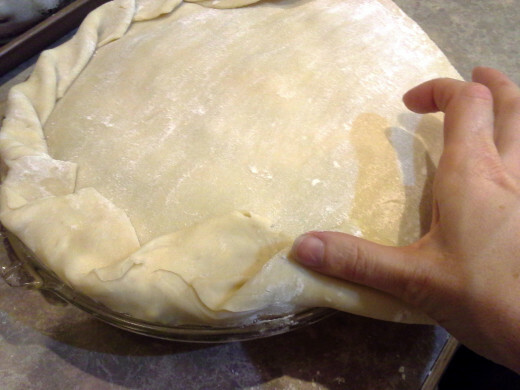 Then slowly fold the edges of your pie crust over again and again, all the way around. 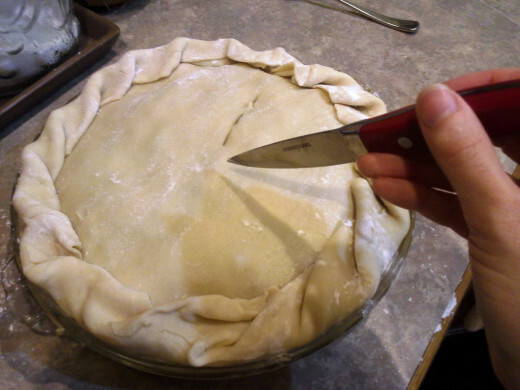 Cut vents into the top of your pie where you would naturally cut pieces of pie. 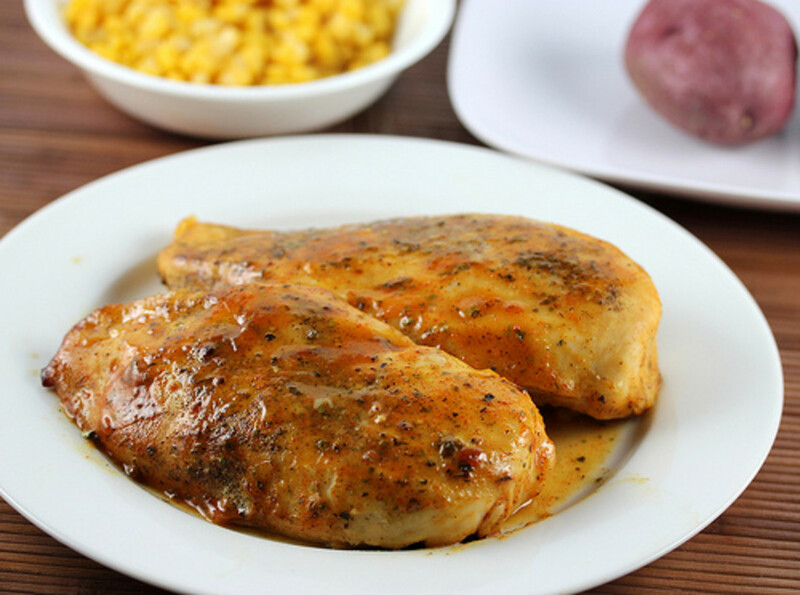 Pop it into the oven for 30 minutes. 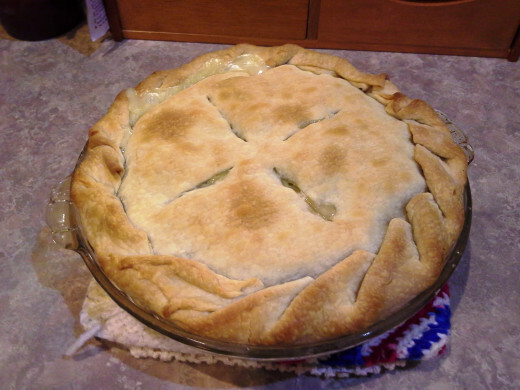 I really would have loved to have some more veggies to use in this pie. Mushrooms and asparagus are some of my favorites and really make this meal unique. 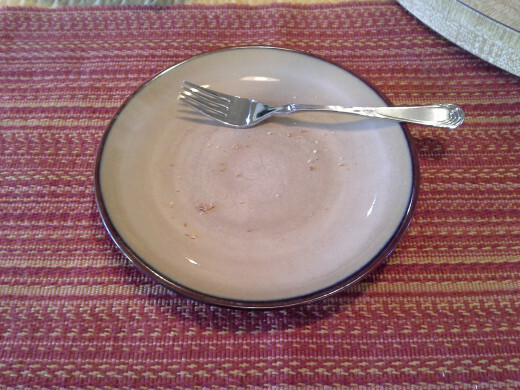 I can't complain about the basics I had though, because the pot pie turned out amazing. My husband has been taking leftovers to work with him, and he says that all of his co-workers are jealous, asking for him to bring a pot pie to work for everyone. 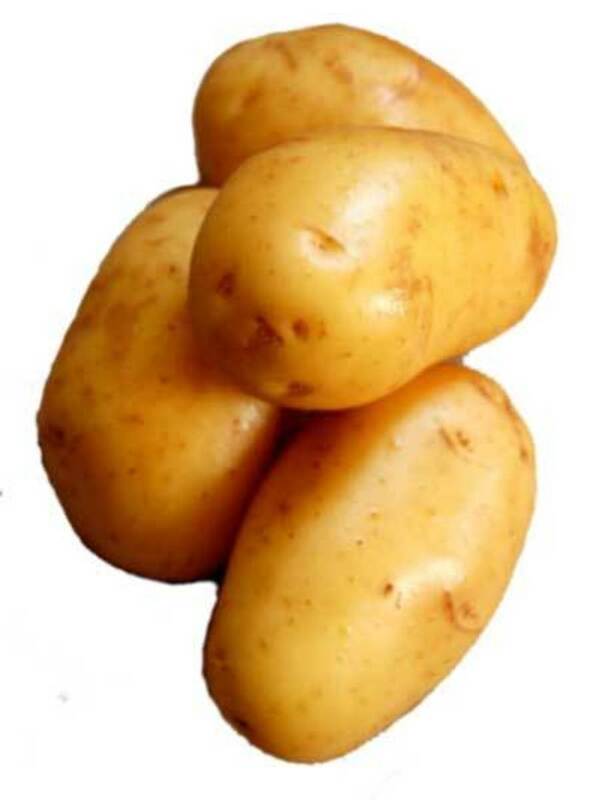 Have some other favorite vegetables in mind? Go for it!! I love making this dish a little bit different every single time. It keeps it fresh and new each time. I'm also glad that I made the pie crusts myself. 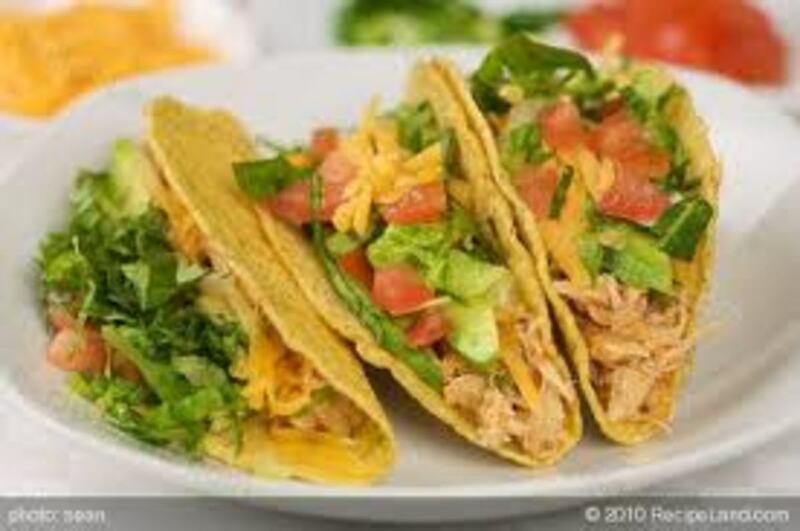 I think mine are much crispier and more flavorful, and always feel a sense of accomplishment when putting something together from scratch like this. I hope you enjoy making this dish as much as I did! 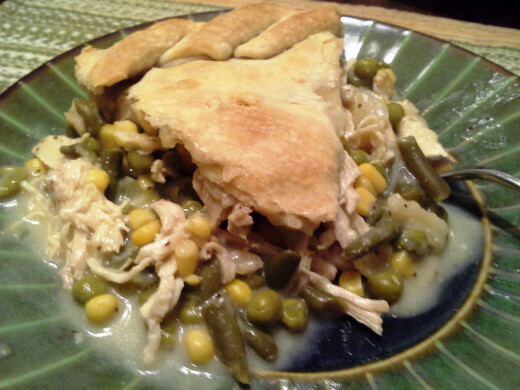 What are your favorite veggies for chicken pot pie? Thanks! I wanted to make it as easy as possible for others to repeat the process. :) I'm so glad you enjoyed the pictures! Thanks for all of the photos and the explicit directions. This is one of my all time favorite comfort foods. 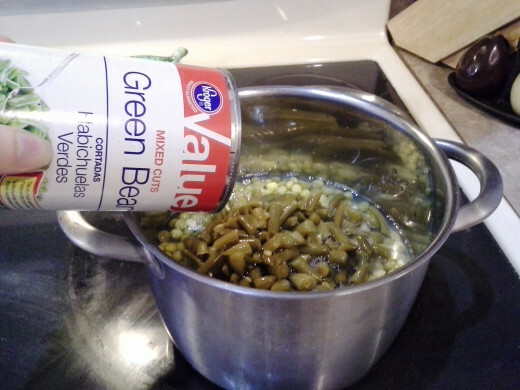 Another great recipe to save. Voted up.Eddy. 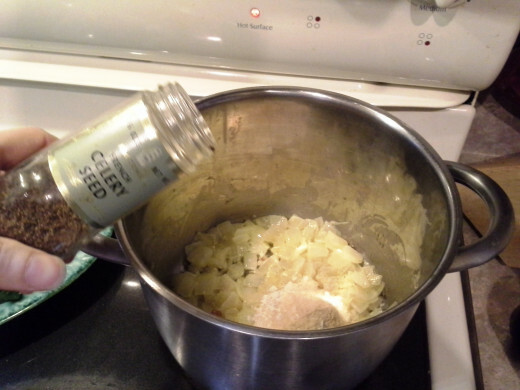 I have never made chicken pot pie before but have always heard about it. 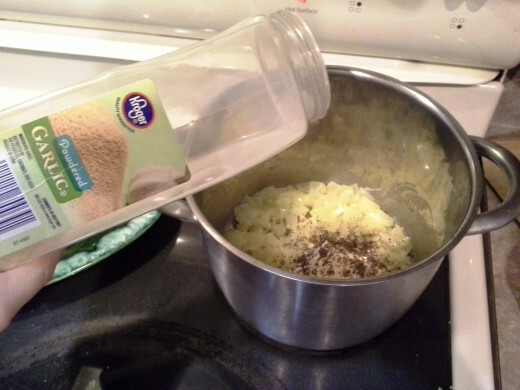 Your recipe sounds easy to make includes ingredients I use all the time and the result looks delicious. I will be trying this some time in the future. Your pictures are great, by the way. It's definitely been a learning experience! Taking pictures while cooking is much harder than people might think. :) Thank you for the comment and the wonderful compliment! PS : I love the way you always have your pictures! It will be for sure a great help for someone who doesn't have experience in the kitchen.